St. Thomas More's Performance Unmasked! 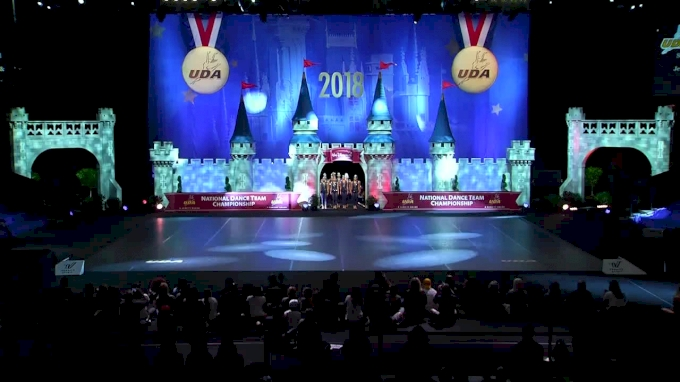 For 29 years now, St. Thomas More Catholic School has been competing at National Dance Team Championship, and have had quite an amazing turnout over the years earning an incredible 20 national championship titles between both Jazz and Pom. This year the team took a more intense route with their Jazz routine compared to previous years. They wear masks to tie into the story their choreography tells as well as the theme which is being “unmasked”. The message of their dance is to embrace who you are, to always stay true to yourself, and to not be scared to show others who you are. The routine starts with one dancer standing still, isolated with her mask off while the rest of the team dances masked around her. Thirty seconds into the routine, the masked dancers reach in and to the lone dancer, the slide a mask on to her face and she synchronizes with the group. At :53 the team performs a 'Michael Jackson' inspired lean that wows the crowd before moving into their next section where all the girls finally unmask. The team re-masks for their turn sequence and their synchronization was impeccable. The routine ends in a similar way that it starts with the lone dancer ripping off her mask. Year after year, the Sparklers like to perform choreography that really pushes them outside of their comfort zone while also staying true to themselves as artists. They hold great importance in showing everyone their passion for dance and for their teammates through their movement in their routine. Their ultimate goal is to tell a story with their routines that make the audience feel what they feeling when they dance. Tune in to Varsity TV tonight to watch St. Thomas More take on Finals in the Medium Senior Jazz Division at 9:00 PM ET in the HP Field House!